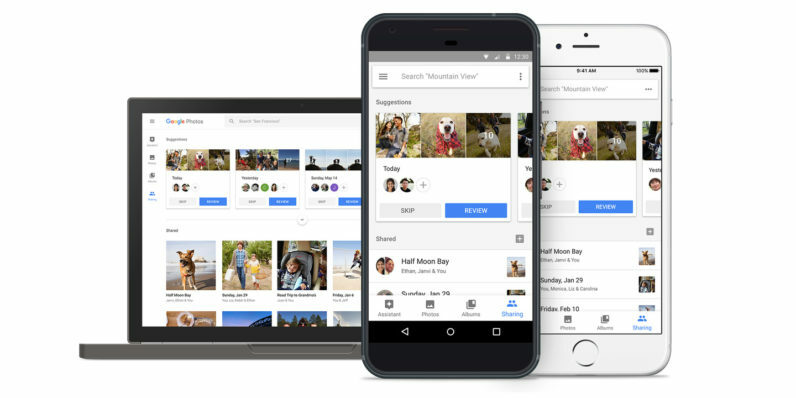 Google Photos is upgrading its cloud storage service with a couple of new automated sharing features today that might be a bit too clever for their own good. The first is actually kinda neat: a new Sharing tab will show you pictures from notable events that Photos thinks you might want to send only to certain people. For example, it picked up a bunch of shots from my lunch with friends at a Korean joint and suggested I share it with one of them. Your recipients can then add pictures to the shared album. I like how this works, as you have a lot of control over which images you share and with whom. It’s a clever evolution of Photos’ existing sharing functionality that I can see myself using once in a while. The next feature is the one that really gets tricky. Shared Libraries lets you grant your chosen contacts access to some or all of your photos, all the time. That means they’ll be able to see all the pictures that Photos shares with them from your account automatically. Whatever happened to boundaries, people? Of course, it’s not entirely harebrained. You can have the app only let your contact see photos of specific people – so, you could theoretically let a friend only access pictures of themselves from your account. It seems like this is much better suited to families or true BFFs only. I’ve got Google Photos set to automatically back up every picture I snap with my camera, and that includes plenty of duds, shots of gadgets, and accidental snaps of the shutter. I shudder to think what might happen if I grant access to my photo library and forget about it one day, only to have my mates or family members ask about some nudes that have popped up in their feed. It’s also worth bearing in mind that while Photos is pretty good at recognizing faces, it’s not perfect – so you may end up sharing more pics than you meant to even after setting restrictions in this feature. Ready to try these for yourself? They’re rolling out now on Android and iOS and appear to have become available on the web already. Let me know what you think of them in the comments.